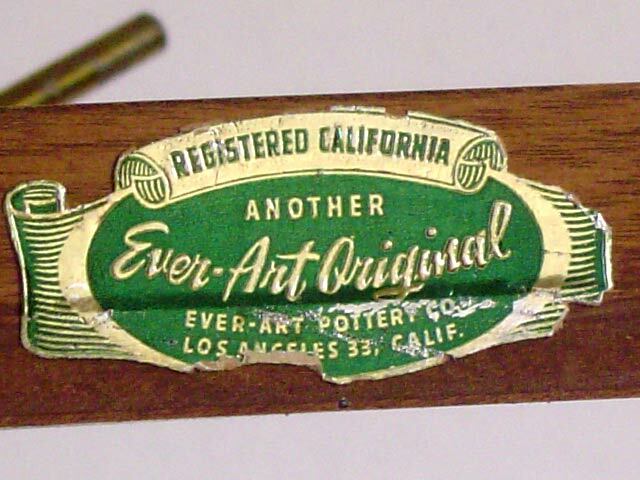 I've not seen too many products of the Ever-Art Pottery Co., but the ones I have come across have been highly original. 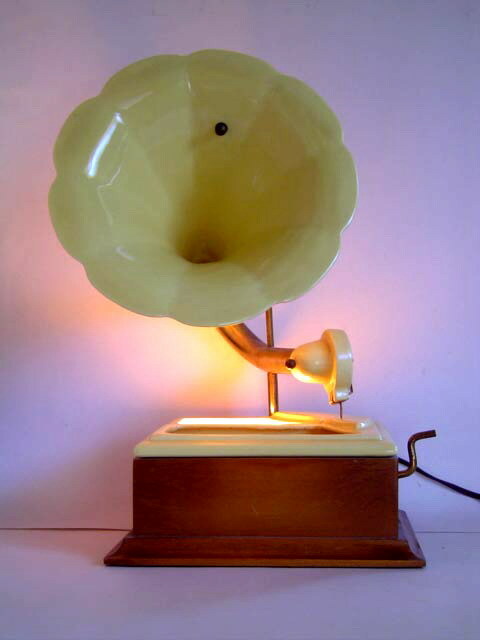 Besides the phonograph TV lamp shown here, I've also seen an antique telephone "figurine" that matches it closely. 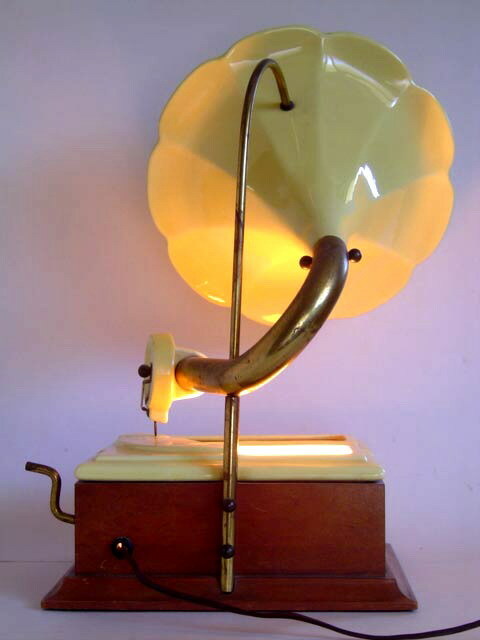 This Victrola-style phonograph TV lamp is unusual to say the least! 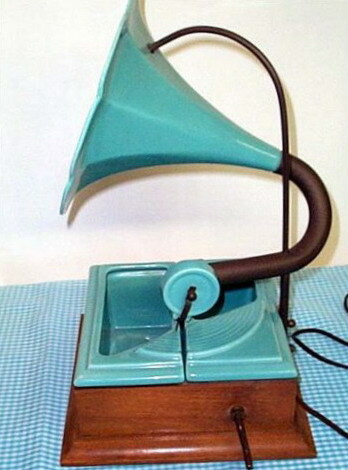 Truly an example of inspired design, these came in several colors. Photos courtesy of Audrey Hart, from northwest Missouri. 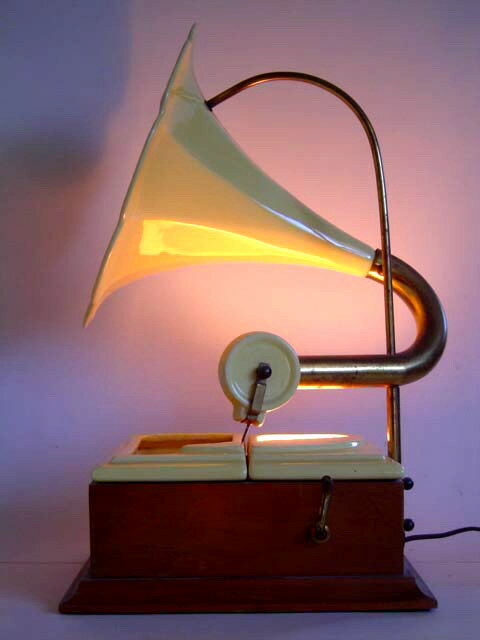 From the side you can see the faux crank and phonograph needle. 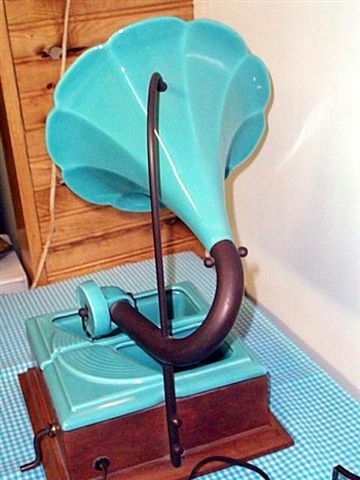 Here's a back view...quite a contraption! 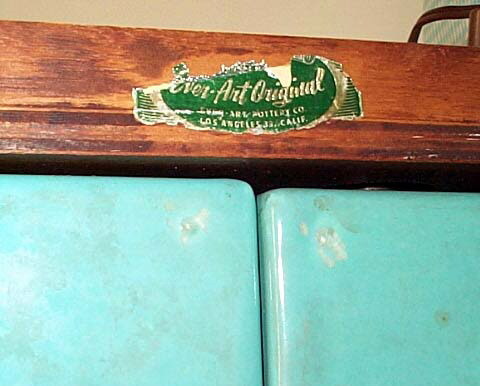 An Ever-Art Pottery Co. label is found on the bottom indicating Los Angeles, California as their home. At the risk of being redundant, here's a look at another example of the same design, this one in chartreuse. 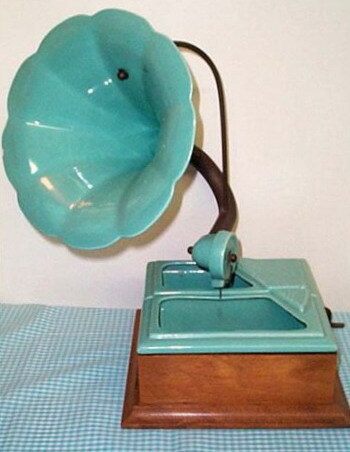 I've also seen it in a dark green. Photos are courtesy of my pal Linda Buchanan of Newbury Park, California. 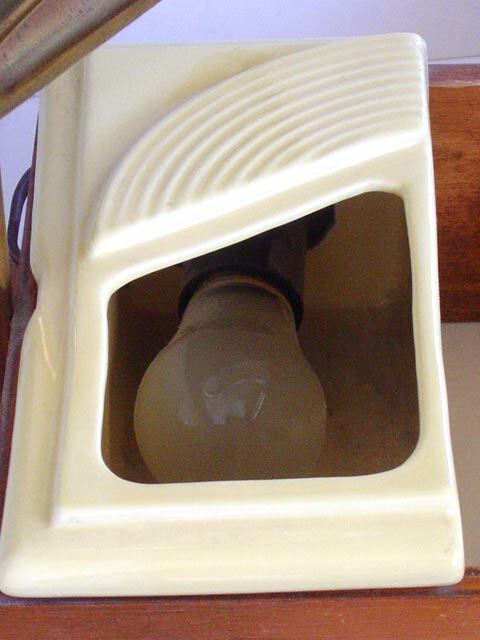 The bulb is well hidden, as to not disturb the phonograph styling.